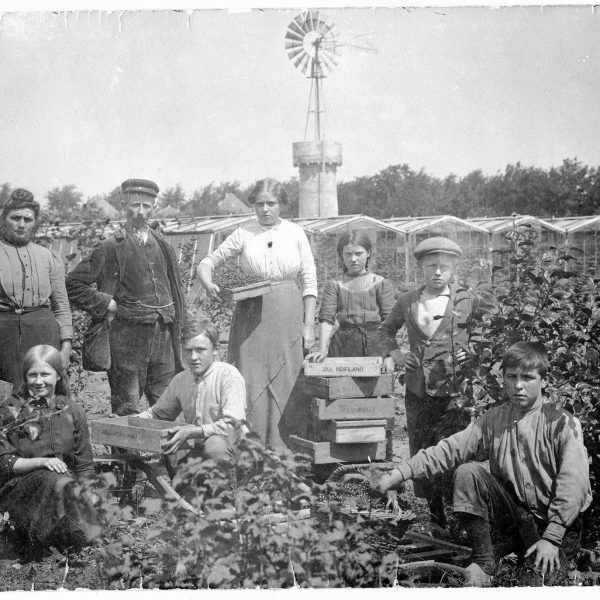 In 1899 on Kruisbroekweg in Naaldwijk, the Netherlands, Jan Hofland (first generation) started a horticultural business, growing currants, apples and above all peaches and at a certain point also Dahlias. Watering was done by hand using a simple watering can! By the time Jan’s son Gozewinus Jacobus Hofland (second generation) took over the company in 1928, the company had 20 greenhouses with various varieties of peaches. Goos Sr. decided to pull tulips and to do so he added the nursery’s first heated greenhouse. 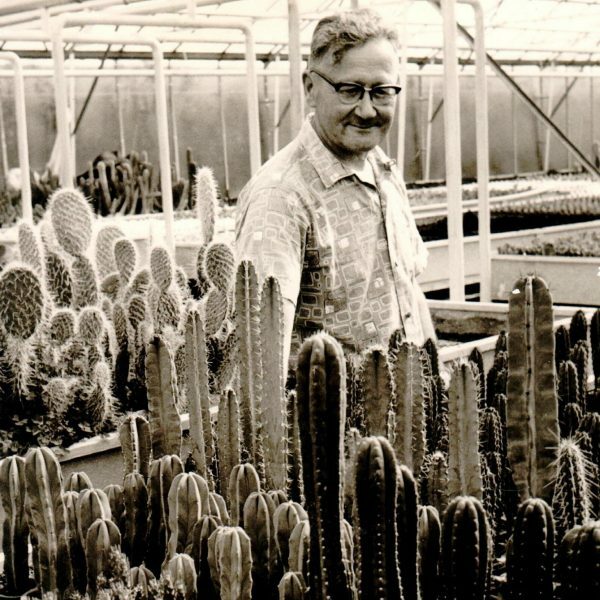 In 1940, the first cacti were grown in the nursery, and tomatoes and Lathyrusses were added to the product range. In this way, the company became something of a ‘grocer’s shop’, which was very common at that time. In 1960, the municipality wished to buy the land on Kruisbroekweg, which meant the company needed to found a new piece of land. They soon found the right spot: the Klapwijk brothers were willing to sell their pasture on Lange Broekweg to the Hofland family. Frans Hofland joined the nursery and started a small section with cacti, as well as tomatoes and cucumbers. It was a difficult time financially, which led him to set up a small export company together with his father, Goos Sr., for which he regularly travelled to England to visit customers. During one of these work visits, he discovered the Lidcactus and brought it back to the Netherlands to cultivate them himself. In 1976, Frans took over the company from his father, Goos Sr., making him the third generation of Hoflands at the helm. The necessary studies and tests were carried out with Lidcactus in order to expand the knowledge and experience. 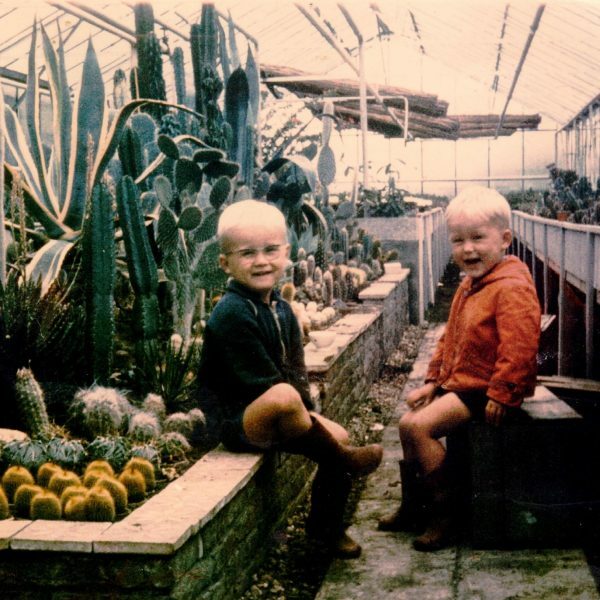 In 1991, Frans’s sons, Goos and Peter, took over the nursery and continued under the name F. Hofland & Zn. BV. The computer made its debut and investments were made in a digital ordering system. It didn’t stop there: in 2006, a new greenhouse was built in which all of the latest gadgets in the field of horticulture were included to create the optimal climate for growing the plants. A new potting system, cuttings-setting line and cultivation container system were also introduced. In 2007, Peter decided to leave the company and Goos continued on his own, but in 2009 the team was again strengthened in the form of his son Frank that came to work at the nursery. After four male generations of Hoflands, the situation changed in 2016 with the arrival of Goos’s daughter Annemiek. Together with Frank, she forms the duo that will lead the nursery in the coming years with Goos as well as Peter on the side-lines.